Castine, Me. 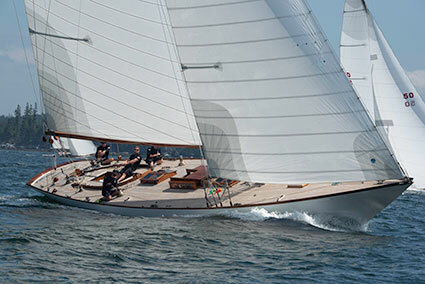 — Marilee, a 59’ Herreshoff NY-40 built in 1926 sailed by Andrew Parente, led the fleet in the nineteenth annual Castine Classic Yacht Race to Camden sponsored by the Castine Yacht Club. 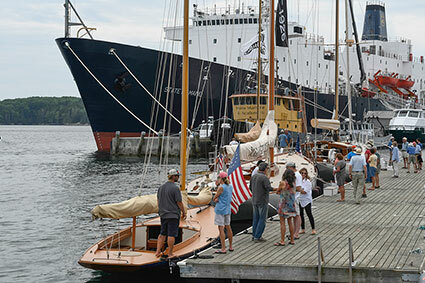 The Castine event kicked off three days of classic boat racing, culminating in the Eggemoggin Reach Regatta. 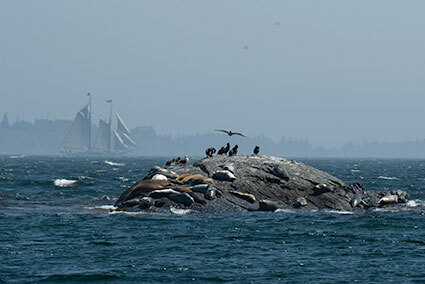 Under clear skies and a brisk southwest breeze, the thirty-six boat fleet set sail from the Castine harbor bell on a 19.6nm course ending off Curtis island in Camden. Sailing in Classic A class, Marilee beat by almost four minutes Sonny, a 53’ Sparkman & Stephens sloop sailed by Laurel Gaudet. The Blue Peter, a 65’ Milne designed sloop built in 1930 sailed by Mathew Barker, took third place. 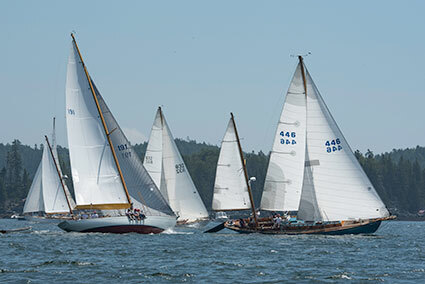 The Classic B fleet was led by Leaf, a 38’ Luders 24 built in 1946 sailed by Chris Bouzaid, followed by Palawan, a 48’ S&S sloop built in 1952 sailed by Scott Gazelle, and Otter, a 41’ Concordia built in 1954 sailed by Robert Keefer. The Classic C fleet struggled with a dying breeze late in the day, with 30’ Atlantic class Silverfish, sailed by JB Turner, crossing the line first. In the Spirit of Tradition class, Blackfish, a 49’ Brooklin Boatyard/Jim Taylor sloop launched in 2017 sailed by Ron Zarella, took honors, besting Anna, a newly launched 65’ sloop built by Lyman-Morse sailed by Anthony Merck. Isobel, a 69’ sloop sailed by Richard Schotte, took third place. As overall winner, the Ames Cup was awarded to Marilee. The Ames Cup honors the memory of Richard Glover Ames and Henry Russell Ames who were lost at sea on June 19, 1935, south of the Grand Banks in an unsuccessful effort to save their father who was washed overboard during the Newport to Bergen, Norway, yacht race. The Ames family hailed from Castine. Sonny won the Sparkman & Stephens trophy as S&S yacht with lowest corrected time. The Phalarope trophy, awarded to the top Concordia yacht in memory of Thomas G. Ashton Sr., was won by Otter.